A lizard skitters across the path and the distant howl of coyotes trails off into the warm desert air as you, surrounded by red rock giants, ride into setting sun on your noble steed. Hop aboard a jeep, ride a horse, or try a combo tour with Sedona's oldest family owned tour company. Six different tours feature sightseeing, off-roading, & local attractions. The ONLY working cattle ranch in Sedona open to guests. 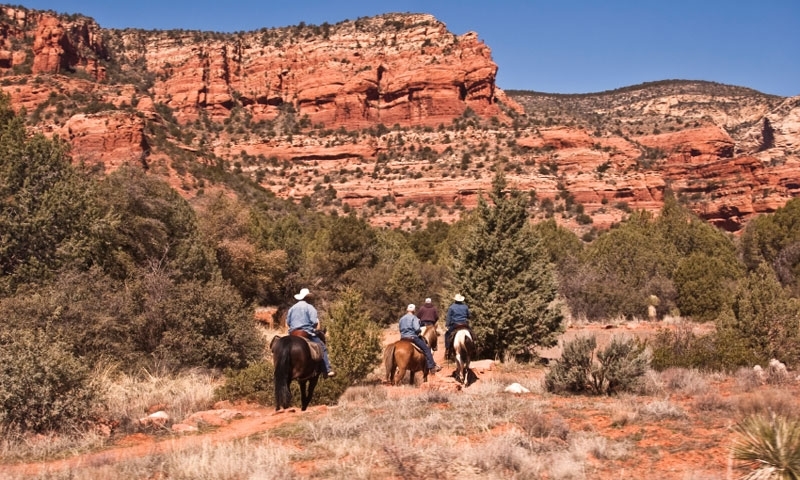 The ONLY horseback riding operation in Sedona permitted by the Forest Service to ride on FS lands. Hop on a thrilling western adventure with guided jeep, helicopter, and horseback riding tours of Sedona. Enjoy a day a M Diamond Ranch with a horseback ride tour and authentic cowboy cookout. 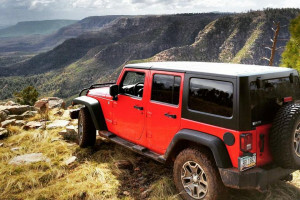 Affordable and adventurous off road tours and sunset tours with your choice of jeep, hummer, or helicopter. Explore Dead Horse Ranch on horseback with scenic views of the Cottonwood wilderness and the Verde River. 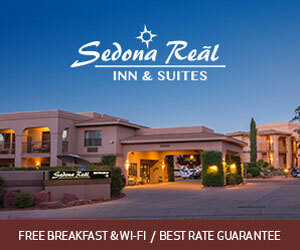 Where can I go horseback riding in Sedona? If you would like to bring your own horses to Sedona, there are many multi-use trails that are open to equestrians in Red Rock Country with amazing red rock views and interesting plant and wildlife. Horseback-friendly Trails: Brin’s Mesa, Jim Thompson, Munds Wagon, Girdner, Dry Creek, Doe Mountain, Fay Canyon, Sycamore Pass, Black Tank, Loy Canyon, Bruce Brockett, West Clear Creek. If you are interested in taking an extended horseback adventure through Red Rock Country, the Mogollon Rim, Verde Valley, and the Verde River, there are a number of Sedona horseback riding tour companies to choose from. Guided tours vary anywhere from 1 hour to full day excursions with authentic western cookouts. Check out these local listing to find the perfect horseback tour for you!